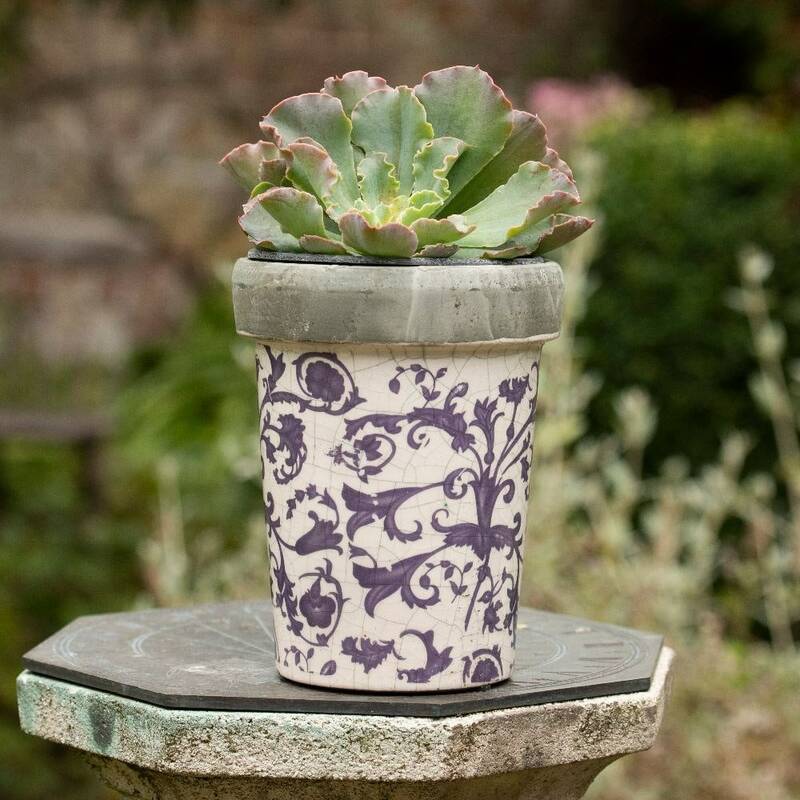 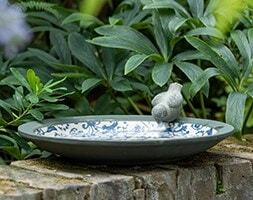 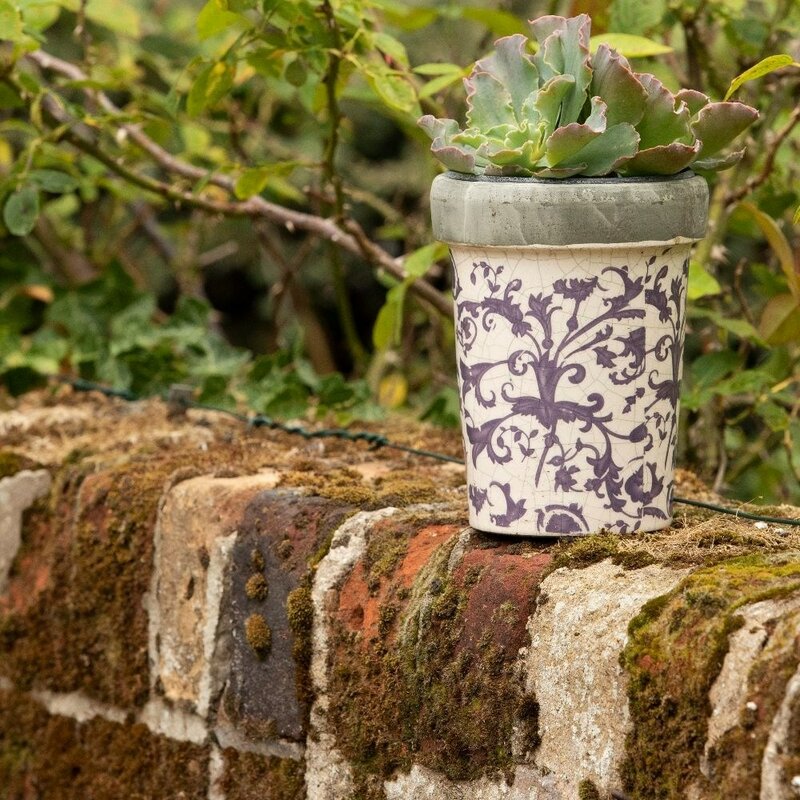 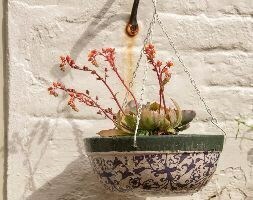 Add a touch of Victoriana to your garden or home with this glazed long tom ceramic pot. 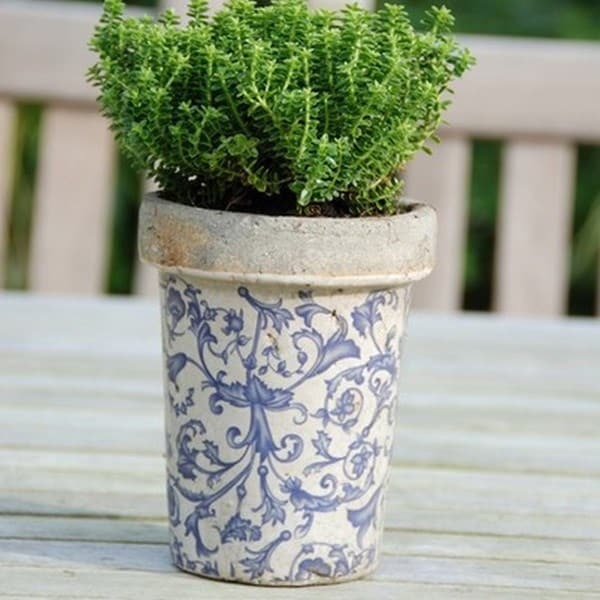 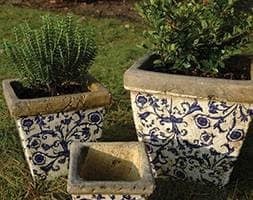 Featuring a traditional blue and white vine pattern, the compact pot has been carefully aged to give it a realistic vintage finish. 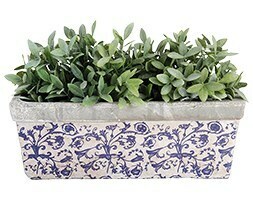 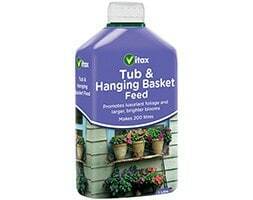 Looks great planted up with herbs in the kitchen or small plants on the patio. 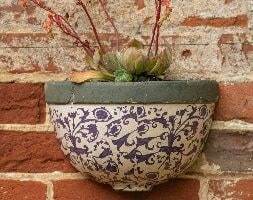 Includes drainage hole in the base.